With great power comes great responsibility and the Sentinel-1a definitely fits the bill. 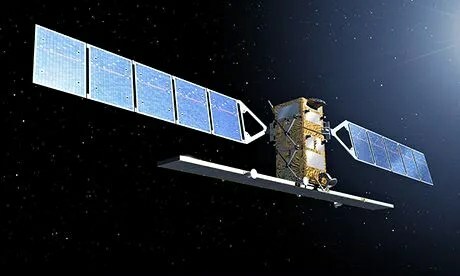 The Sentinel-1a satellite was launched two weeks ago as part of the Copernicus project jointly funded by the European Union and European Space Agency (ESA). Its mission? To use its high-tech capabilities to monitor oil spills, sea beds, natural disasters and aid in humanitarian crises. It’s the first of six satellites Copernicus plans to launch and the program “will be the most efficient and fullest Earth-observation programme in the world,” according to Jose Manuel Barroso, the president of the European Commission. Sentinel-1a uses radar data which is useful for mapping natural disasters such as floods and earthquakes. It managed to produce this image of flooding in the Caprivi plain in Namibia on Thursday in just three hours — a task that used to take Europe’s previous Earth observation satellite much longer. And, the Sentinel can work in the dark or under cloud cover, as it did with this Namibia image. Such data would not only help policy makers respond to emergencies, but could also help develop environmental legislation. Additionally, the Sentinel-1a is able to distinguish among the several infrastructural elements of a city. In the image it captured of Brussels, Sentinel-1a showed green in places with vegetation, “red-blue to urban areas, white to high-density urban areas and black to waterways and low-reflective areas such as airport runways,” according to the ESA. Still in its initial launch and orbit phase (orbiting at 693 km above the Earth), the mission is expected to begin its operations in three months. All of the Sentinel’s data can be downloaded free-of-charge for members of the public and private sectors. This service can benefit businesses who can use these images “to help deliver data to farmers on soil moisture or pest infestation, help oil companies decide where to drill new wells or make it easier for insurers to assess the risk of costly floods and fires,” according to Reuters. For now, the EU and ESA have other matters to worry about — its rivals (like the American Global Positioning System, or GPS, Russia’s GLONASS and China’s new Beidou system) and falling space debris.